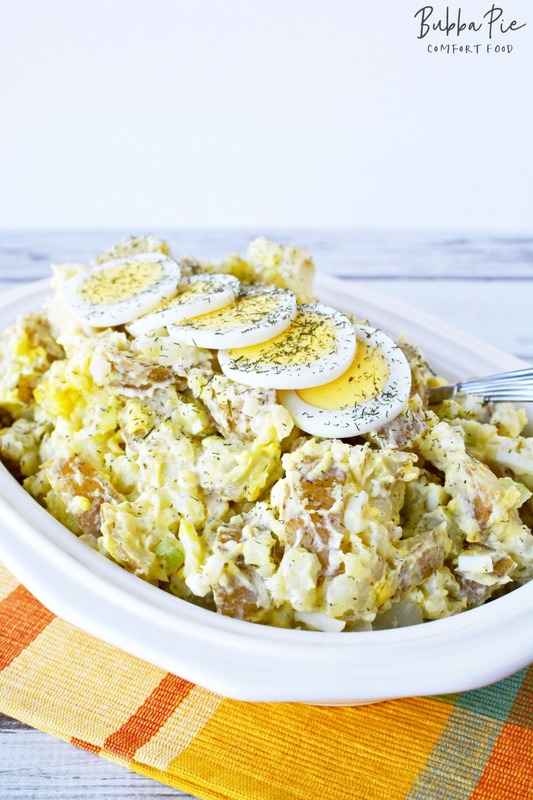 Dive into the summer season with the easy Potato Salad With Egg Recipe. 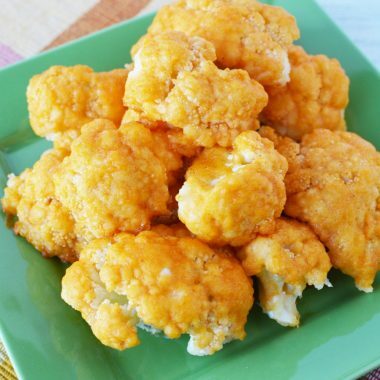 It is the perfect side dish for sharing with friends and family on those warm summer days! LOOKING FOR MORE SIDE DISHES? CHECK OUT OUR EASY CORN PUDDING CASSEROLE OR OUR CROCKPOT CHEESY POTATOES! Sun, Fun and Great Food! The weather is finally warming up and the sun has decided to hang out a little more often in the sky. These winters in the Midwest can seem so long and dreary! But now we have lots of great weather ahead of us and I couldn’t be more excited. It’s going to be a great summer. One thing that warmer weather means is that we will be having a lot more get togethers with friends and family. We can’t wait to hang out with everyone for some great food, drink and conversation. Whether it is grilling out at home, going on a picnic or camping out, we are going to enjoy this fresh air! Of course, here at BubbaPie, we take the food portion of our get togethers seriously. 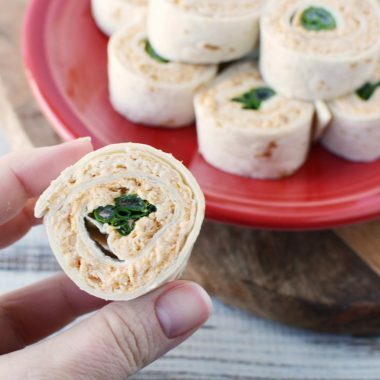 We are always looking for fun, easy and delicious meals to make whatever we are doing even more special. This will hold true with our summer activities. So we thought we’d publish a recipe for one of the most famous of all summer side dishes: Potato Salad! 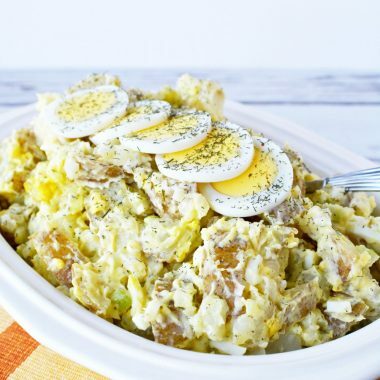 We’d love to share this easy Potato Salad with Egg Recipe with you because it’s the perfect side dish to elevate your grilling or picnic to the next level. 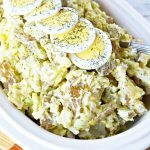 Using Potato Salad as a side dish is a great idea because it is so easy to serve, share and eat. 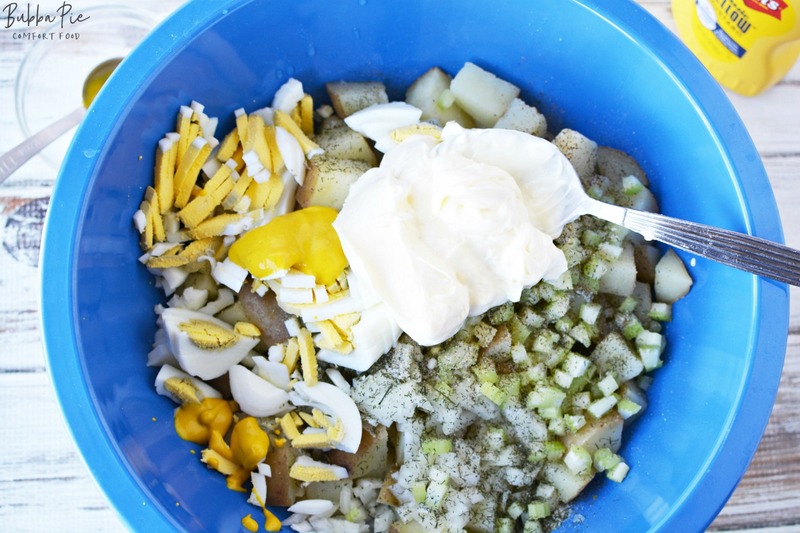 It isn’t too messy and just about everyone loves a good potato salad! Also, there are so many different ways you can learn how to make a Potato Salad recipe. Some people like to use yellow mustard, some make German Potato Salad and some people like to put Dill Weed in their recipe. 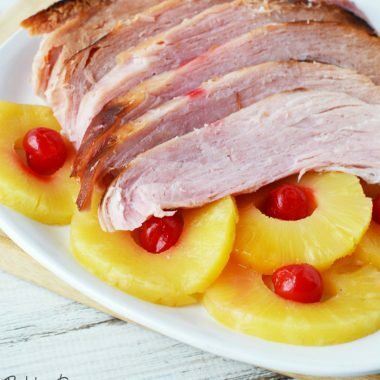 It is one of those dishes that is simple, but can be tweaked in so many ways. This is a common question and it can get a little overwhelming. 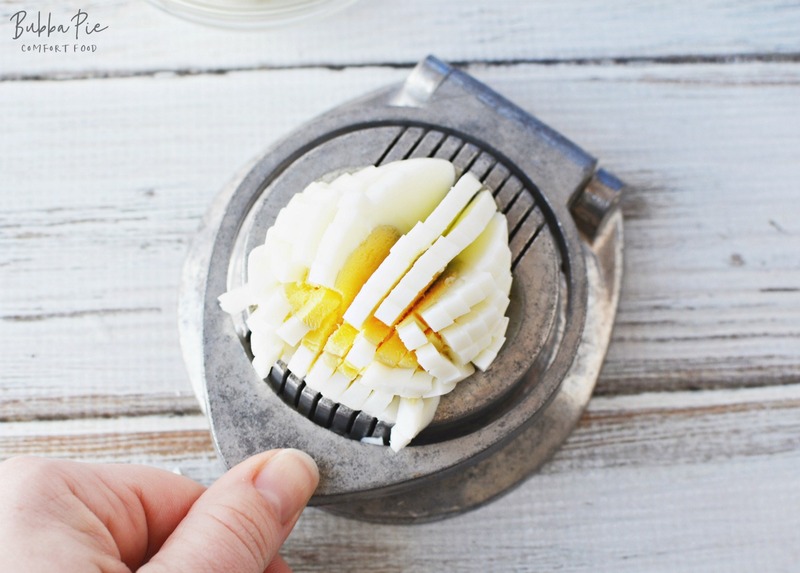 Generally, the rule is that you want a more “waxy” potato and less of a “starchy” potato. Waxy potatoes will hold their shape better when boiled. They also commonly have thinner skin, so that means that you don’t necessarily need to skin them before putting them in the Potato Salad. Some people like the taste of the skin and that more rustic look! A common potato that a lot of people use are the small Red Potatoes or even Yukon Gold. Try to avoid any potato that is more starchy with thick skins, like Russets. As I mentioned above, using the Dill Weed at the end is completely optional. Some people like it and some don’t. Also, the amount of salt and pepper that you use is completely to your taste. A lot of people like to add their own salt and pepper after it is served anyways. 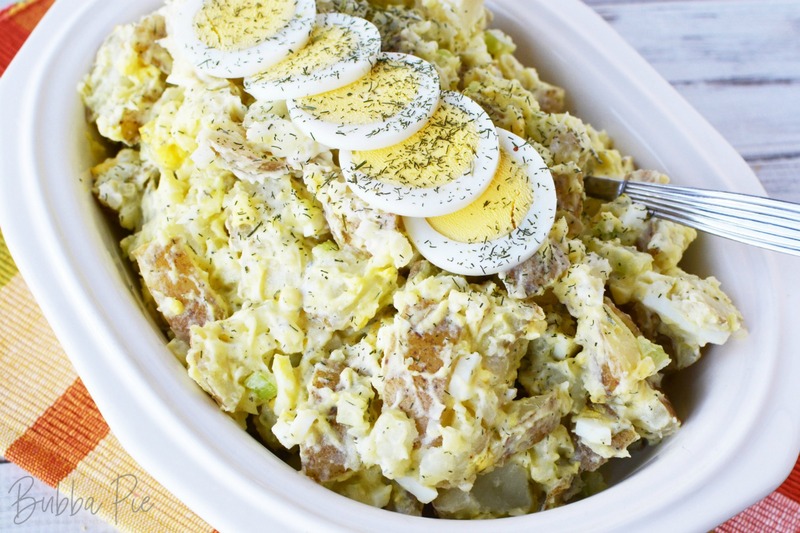 We love how the egg looks on top of the potato salad. 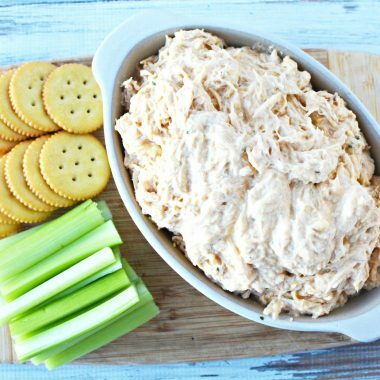 This will really increase the wow factor at your next cookout or picnic! 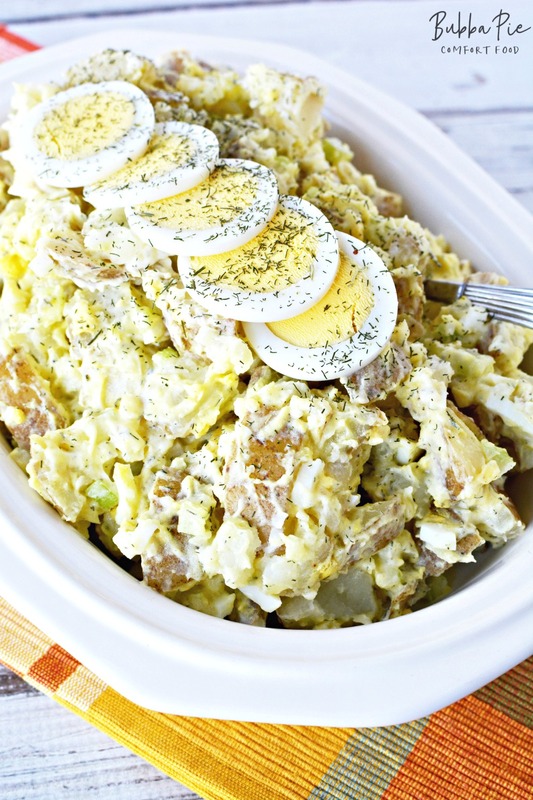 We hope you enjoy this Easy Potato Salad with Egg recipe. 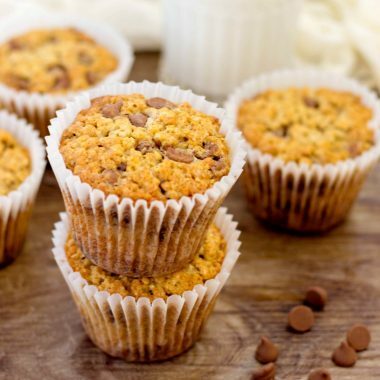 If you are looking for some great summer desserts to serve after you enjoy your meal, check out our Chocolate Zucchini Cake or our Peanut Butter No Bake Cookies! Have a great summer and don’t forget to wear sunscreen! Place potatoes in a large saucepan and cover with water. Make sure water is at least 1" above the potatoes. Cook on medium high heat until boiling. Reduce heat to medium and boil potatoes until soft, about 20 minutes total cooking time. Add celery, onion and 2 hard boiled eggs, diced. Stir in mayonnaise, mustard and spices and seasoning. Mix well. Serve topped with remaining hard boiled egg, sliced on the top. Sprinkle with dill weed if desired.